With a maximum payload of 6 kg, the IRB 910SC is available in three configurations (IRB 910SC –3/0.45, IRB 910SC – 3/0.55m, and IRB 910SC – 3/0.65.) Tabletop mountable, all variants are modular by design, with different linking arm lengths and have individual reaches of 450 mm, 550 mm and 650 mm, respectively. IP54 for optimum protection against dust and liquids is planned for the future. 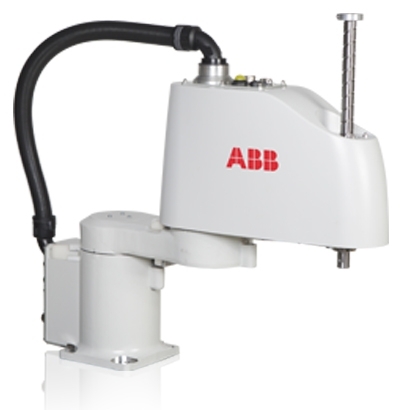 ABB’s SCARA family is designed for a variety of general-purpose applications such as tray kitting, component placement, machine loading/unloading and assembly. These applications require fast, repeatable and articulate point-to-point movements such as palletizing, depalletizing, machine loading/unloading and assembly. ABB’s SCARA family is ideal for customers requiring rapid cycle times, high precision and high reliability for their Small Part Assembly applications and for laboratory automation and prescription drug dispensing.